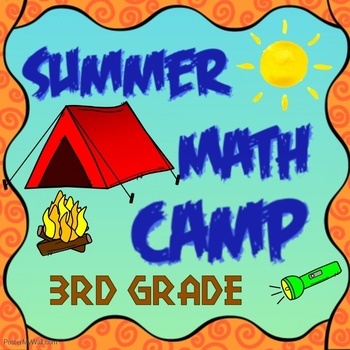 Wisconsin Forward 3rd Grade Test Prep / 3rd Grade Summer Packet VALUE BUNDLE! 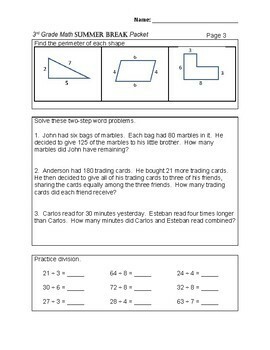 I created this 17-page packet (with answer key) to help my 3rd graders keep their newly acquired math skills sharp during the summer. 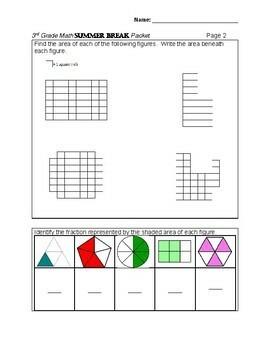 This packet is designed for students leaving the 3rd grade and entering 4th grade, but it can also be used to introduce skills to rising 2nd graders (the more advanced kiddos), or as remediation practice for 4th graders at the beginning of the 4th grade school year. 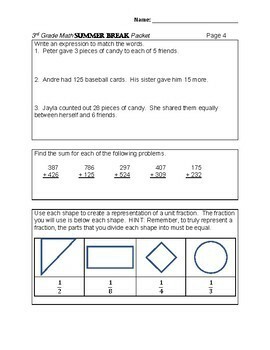 This packet reviews most of the topics covered in 3rd grade, including understanding fractions, multiplication facts, division facts, addition and subtraction within 1000, basic geometry, measurements, tables, etc. The intent of this packet is for students to retain skills over the summer. I assign 2-pages per week. I do not want it to take over their summer, and I don't want to grade 40 100-page packets when they return...lol. So 2-pages per week gives a little bit of practice just to keep math on their minds. Yes, this packet was designed for my students in Georgia, but Georgia's 3rd grade curriculum is based on Common Core, so this packet is also an excellent review for 3rd grade students in Florida, New York, California, Tennessee, Michigan, Virginia, Louisiana, Maine, etc...any state aligned with Common Core. Thank you for shopping, and please follow my store, as I am frequently adding new review materials.